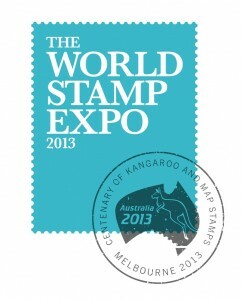 From 10-15 May, 2013 Australia hosted one of the most significant events on the philatelic calendar – The World Stamp Expo. national and international dealers, traders and collectors from over 30 countries descending on this massive event. As principal sponsor, Australia Post faced some significant challenges. Most importantly, they had to make the event profitable for the organisation and the key stakeholders, such as local and international philatelic societies, as well as achieve recognition for The World Stamp Expo as a major and relevant international event on the philatelic calendar. To do this they had to inspire people to attend, appealing to both the enthusiast and the newcomer. There were three major challenges that had to be overcome. The previous expo held in Australia in 2005 achieved results well below expectations. Attendances were low. Revenue generated was low. The yields from the marketing were poor. The 2005 expo failed to engage with audiences outside of the stamp enthusiast. It had preached to the converted, missing a rare opportunity to reach beyond the traditional audience boundaries and increase awareness of philately. In fact, the general public felt intimidated to attend as they thought it was just for the professional. And, importantly, it had missed an opportunity to generate revenue through people buying stamps. The dealers, Australia Post and the Australian Philatelic Society were left disappointed. 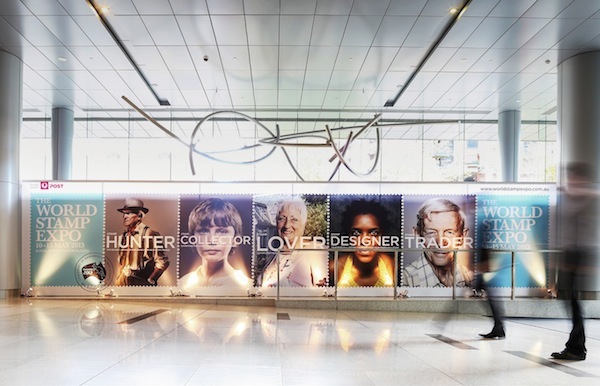 As principal sponsor, Australia Post also took on responsibilities for overseeing the communications, ticketing and logistics for the event, as well as creating and running the centrepiece stand at the exhibition. This was a significant investment, not just in terms of dollars but also in international reputation, adding to the importance of elevating the success and status of the event with philatelists and postal administrators. A further challenge was timing. January to May is one of the busiest and most competitive periods on Melbourne’s events calendar. High-profile international events such as The Australian Open, the Formula One Grand Prix and Melbourne International Comedy Festival all fight for valuable media space and coverage, as well as forcing up costs for promotions and publicity. And, of course, all are competing for numbers. Within this climate The World Stamp Expo had to stand out and grab people’s attention, making the positioning of the event critical. Major changes had to be made to the communications strategy to ensure the 2013 event would not just overcome all of these challenges, but exceed expectations to achieve a successful result. Working with the Australia Post activation team, Tank identified a critical insight that would redefine the event. For the event to capture the imagination of a wider audience, from the serious collector to the newcomer, the branding and communications had to create a modern, sophisticated and consistent framework that positioned the exhibition as a major international event. And it had to change perceptions of the typical stereotype of the stamp collector – an old man soaking stamps in a teacup. It quickly became apparent that some important changes had to be made. The most critical of these was to develop a new brand mark and rename the event, from the Australia 2013 FIP World Stamp Exhibition to The World Stamp Expo. This was a key strategic move. Adopting the more succinct name of The World Stamp Expo provided the basis for a more modern, impactful and marketable result. It also provided a solution for evolving the existing brand mark adopted by the Australian Philatelic Society, which had primarily been used to appeal to their international audience. Although the existing brand mark had sold well to the primary audience of over-55-year-old stamp collectors, it was lacking visual consistency and appeal to a wider audience. branding – the hero colour of the light blue was again recognisable and didn’t interfere when used alongside the Australia Post brand mark – in fact, it made it stand out. The next major decision was to develop a campaign idea that would capture the imagination and interest of all ages and demographics – from the serious and novice collector and trader, to those interested in a stamp’s artistic merit, to a younger generation motivated by new technologies. Philately is a multimillion-dollar business, made up of the most extraordinary designers and historians in the world. Whether it’s searching out a stamp, coin, letter or postmark, one thing defines the collector: their story. The chase for the stamp. Hunting down the most obscure idea for a collection. The thrill of owning their first stamp. It could be the collector’s story or the story behind the item. This was the key to the campaign. The Lover – embraces all that represents the philately community. 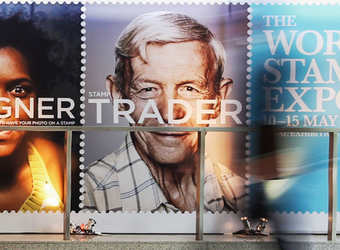 The campaign emphasised that The World Stamp Expo was for all personalities – characters. Yes, it’s for the professional, but it’s also for the person in the street who simply wants to buy a piece of personal history, such as the Black Caviar commemorative stamp, or have a collection handed down to them by their grandmother valued. 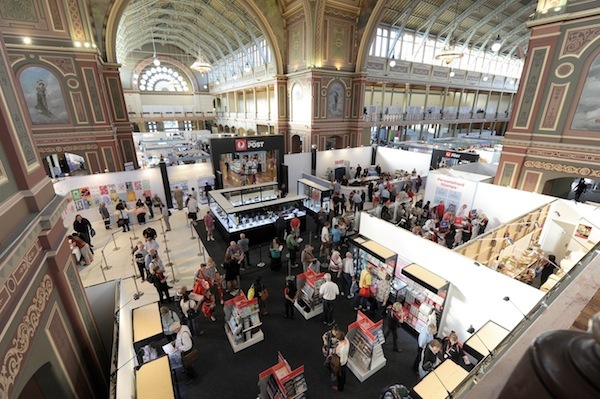 The characters made it easy for the Australia Post activation team to ‘sell’ the story of The World Stamp Expo – whether to postal administrators from the likes of Royal Mail, UK, through to the general public interested in attending arts and cultural events. It provided the framework to educate the public on philately and The World Stamp Expo. This was further explored through videographies on the website, capturing stories of exhibitors, dealers, collectors and enthusiasts. The brand mark and event collateral influenced the entire suite of communications across print advertising, outdoor and digital, including the launch of a refreshed website to promote the event. 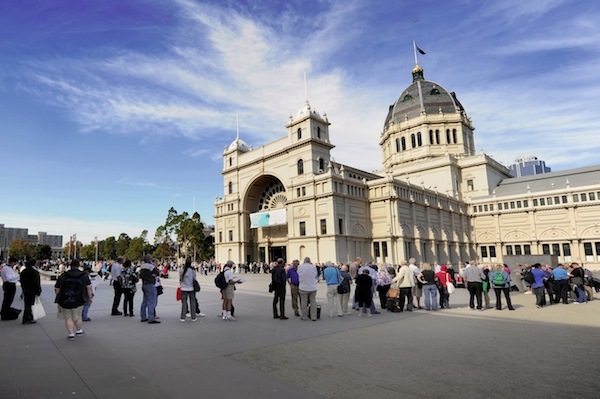 The campaign modernised The World Stamp Expo and allowed it to compete as a Melbourne and international event, providing a strong sense of cohesion, credibility and professionalism. 96% of people who planned to buy a stamp did so. The buy-in from the philatelic community was just as impressive, with representatives from world postal administrations and dealers attending. Many of these stated that the campaign and event set a new benchmark. The campaign was estimated to reach over 6.5 million people, with the website viewed by two-thirds of the world’s countries. The Victorian economy also benefited, with room nights booked 300% higher than projected.